Volunteers Needed! Want to use your rigging skills or learn some? Care to help move vintage maritime stuff? 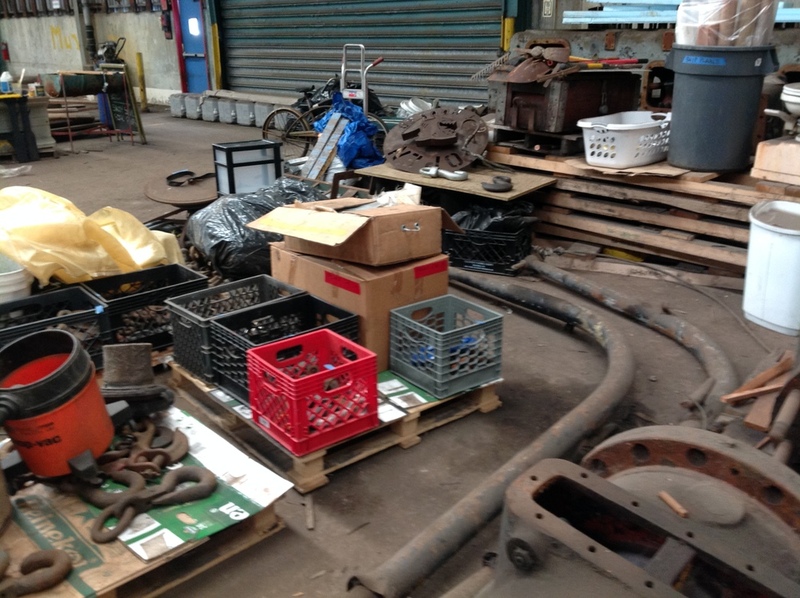 In preparation to leave the containerport and to make way for a tenant in the shed, PortSide NewYork is clearing everything out of the Pier 9B shed. Everything must be out by 11/17! 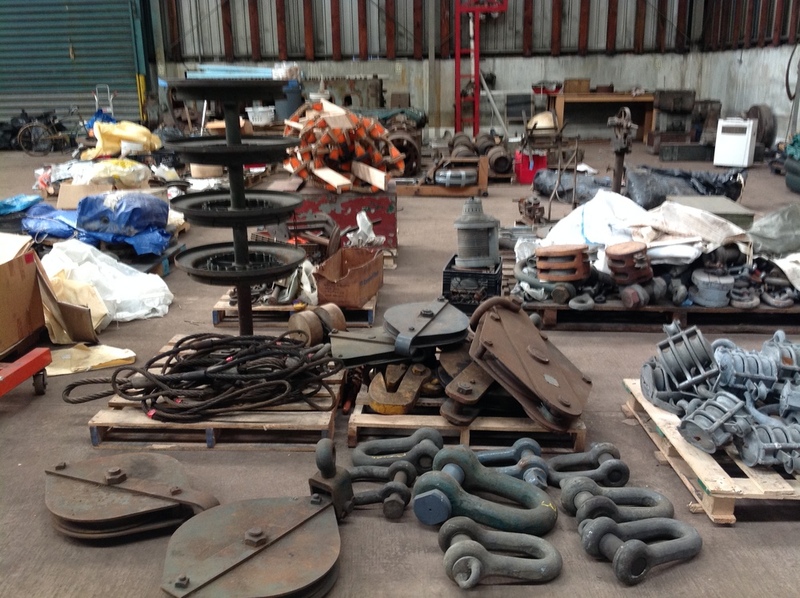 Care to spend a nice fall day moving interesting antique marine hardware and vintage engine parts? Want to learn some rigging? Or practice the rigging you already know? Know how to drive a forklift? We could use you this weekend! Pizza is on us afterwards. 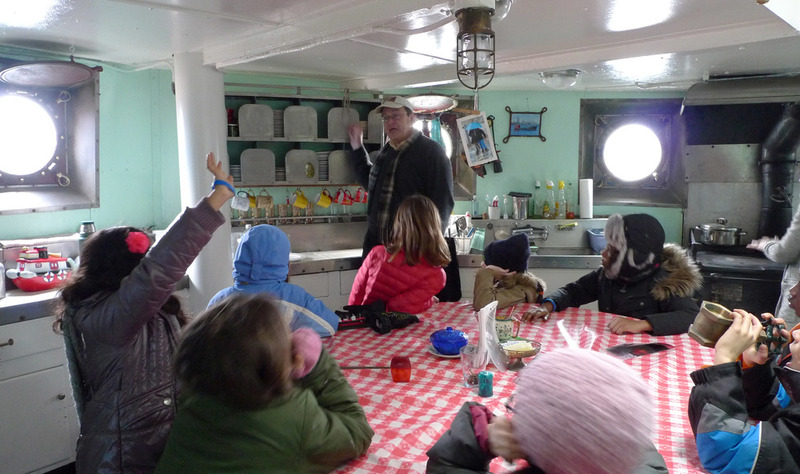 We can eat in the galley all cozy by the vintage stove or head to a local pizzeria; the work crew will vote to decide. RSVP by emailing portsidenewyork@gmail.com or calling 917-414-0565. If your tug is standing by and you're bored, you are welcome to tie up alongside and pitch in! 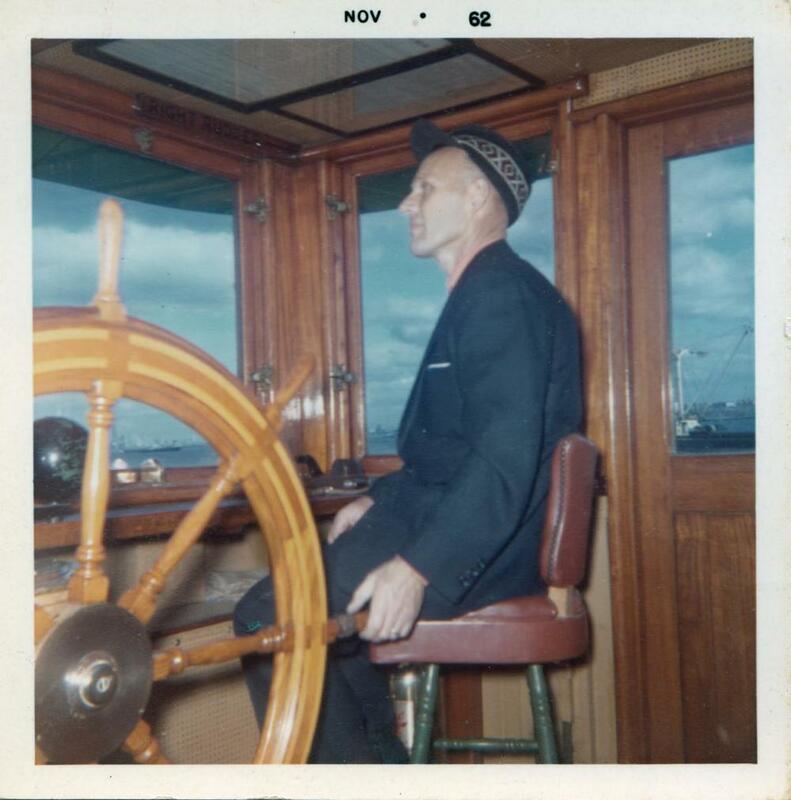 Saturday work will be led by Captain Matt Perricone who owns the historic tug CORNELL and other vessels and is a principal at Diamond Marine Services. He is also a licensed marine engineer. 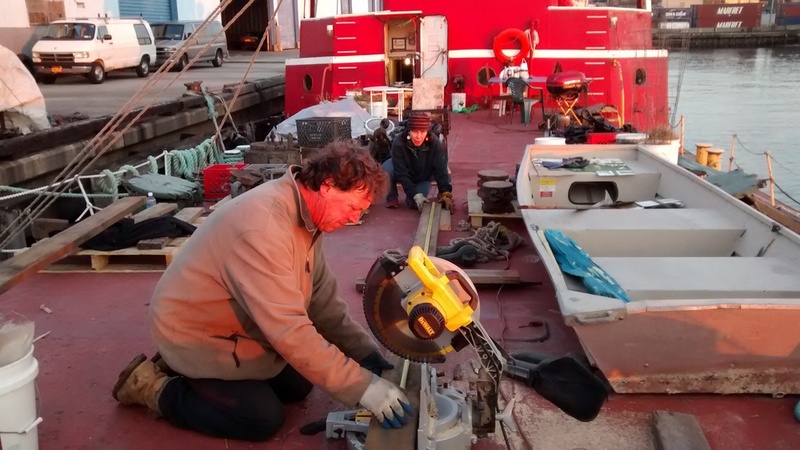 Sunday work will be led by Nobby Peers, principal of Whitworth Marine Services, a world sailor and engineer who specializes in repairing and restoring vintage engines afloat and ashore. Most stuff will come aboard the tanker MARY A. WHALEN. 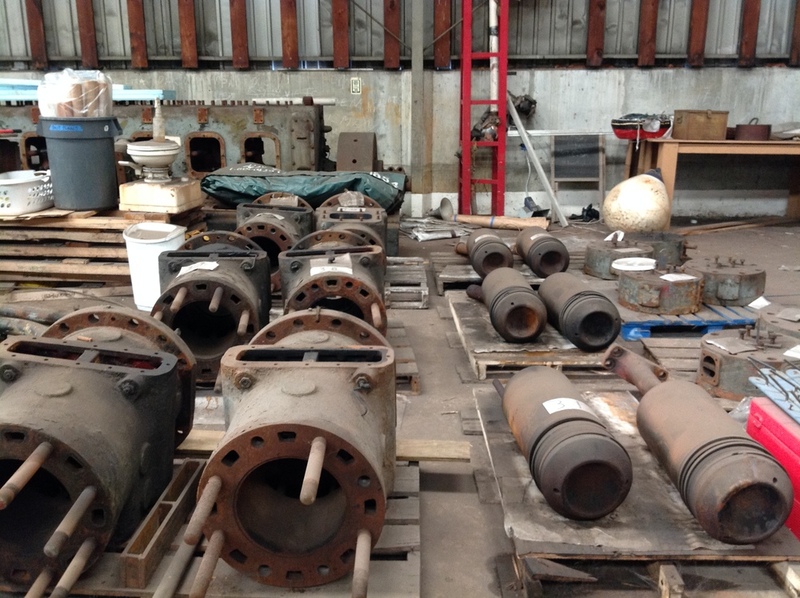 Things to move include replacement parts for the engine on the tanker MARY A. WHALEN, vintage maritime hardware and artifacts for exhibits we will save, and hardware and artifacts we will sell. 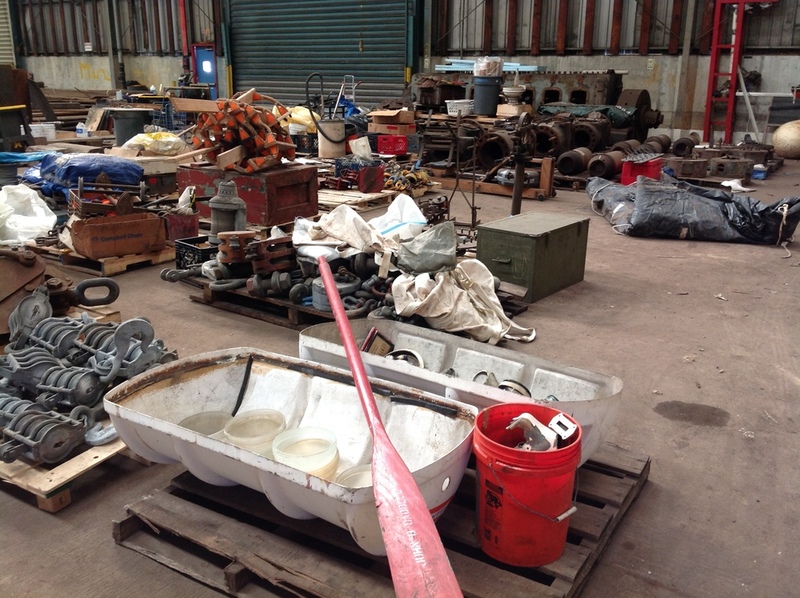 There is one trip to the scrapyard to finally get rid of stuff hurricane Sandy flooded, so a volunteer with a pickup would be really appreciated! 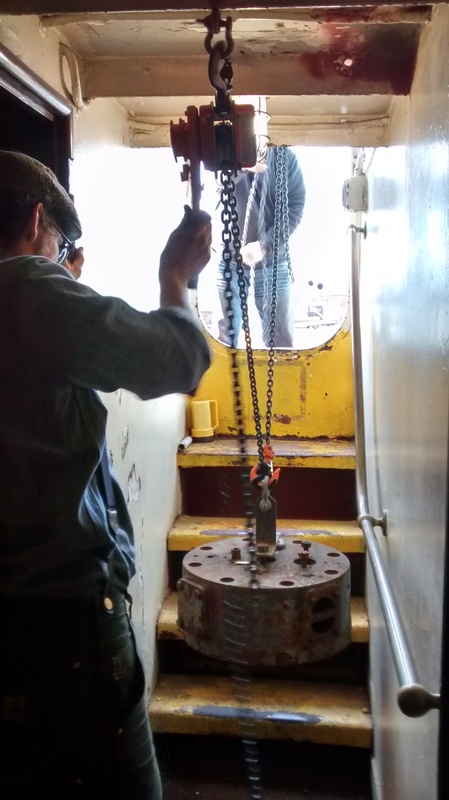 We will use the boom from the MARY A. WHALEN to lift things onto the deck, at that point some of it heads to the engine room and most of it goes into a cargo tank. 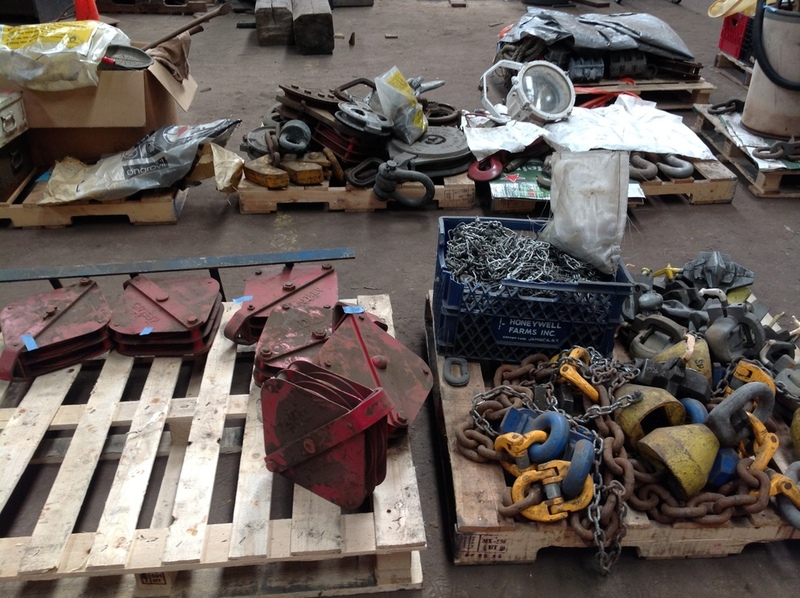 Saturday: Matt Perricone will cut a hole in the deck plate so we can lower in full pallet loads of stuff. On a subsequent trip, he will make that plate a lift-able cover so that we can get in there again easily. On Saturday, we will focus on getting things into that newly opened cargo tank. 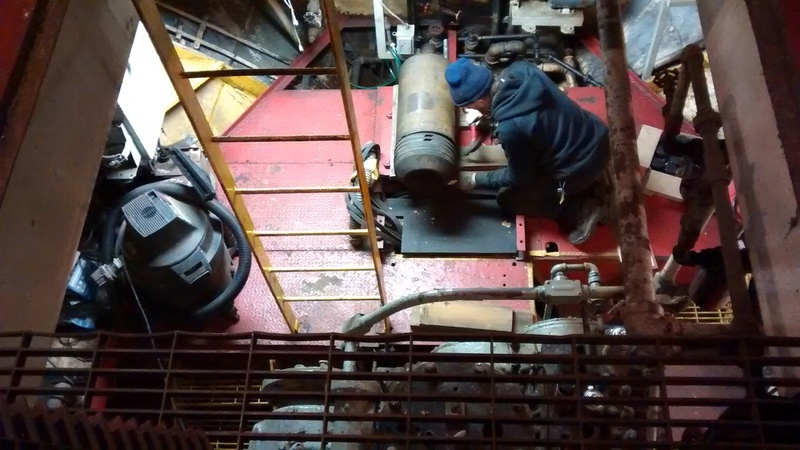 Sunday: Nobby Peers and crew will focus on getting things into the engine room. The engine heads will be installed on top of the cylinders in the engine room. 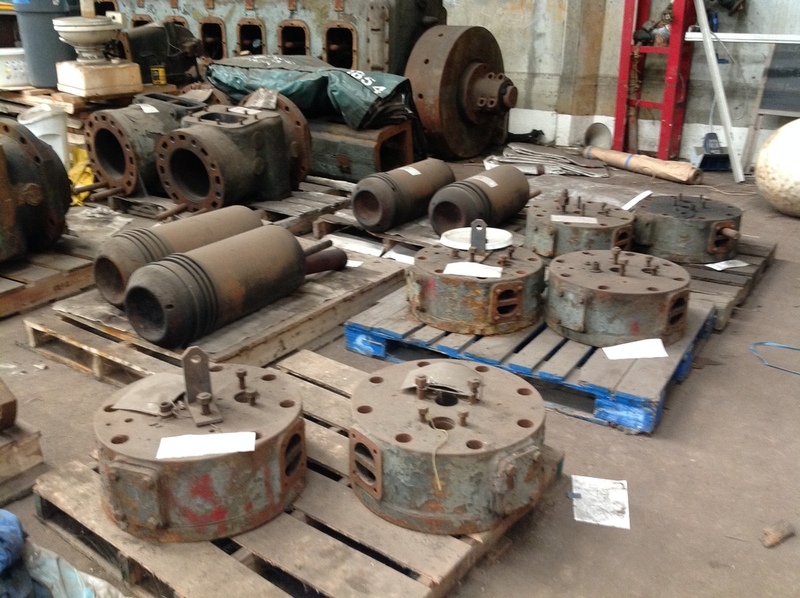 The pistons have not yet had restoration work to revert the Sandy-damage done to them, so they will not go in the cylinders on the ship. They will be greased, wrapped and stored. Davits will stay on the pier. 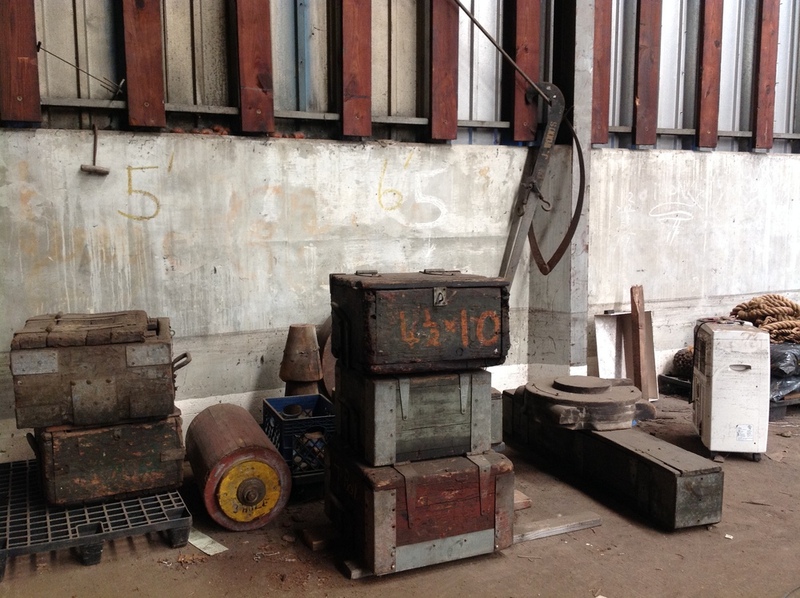 Spare cylinders, lower engine block and fuel pump are headed to another shed. Hurricane Sandy put the JOHN B. CADDELL on EDC property and cost the City a lot of money in fuel spill abatement, ship removal, ship storage and legal fees before the Sherriff’s auction. At PortSide, we are very proud that we saved our MARY A. WHALEN from Sandy damage AND from damaging the property of others by breaking loose or riding up on to the pier. 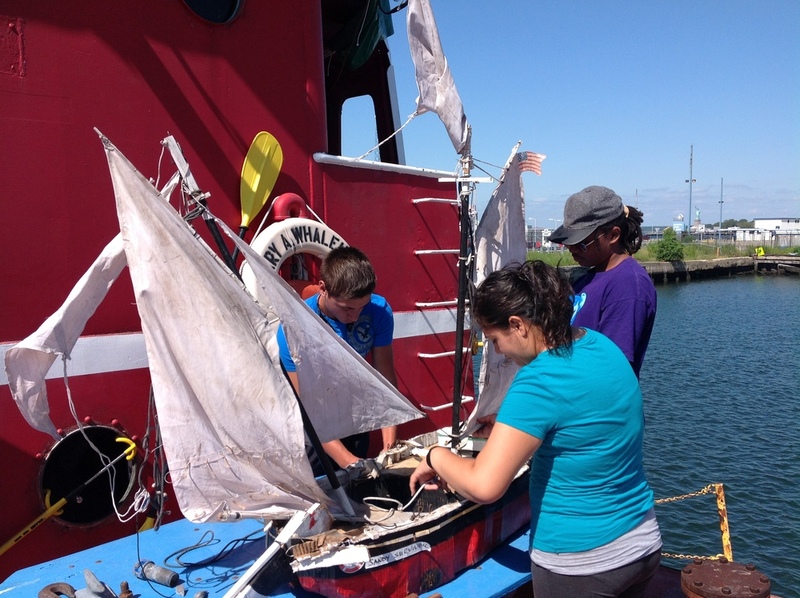 Thanks to that, the MARY A. WHALEN is now a symbol of resilience, as is PortSide NewYork! Only the tough survive eight years of operating as a pop-up while looking for a home as we have. We love our historic ship and want to make clear that we use her for a forward-looking purpose. PortSide was founded to bring change to NYC’s waterfront and waterways, by advocacy and by the example of business and programs at a place called PortSide NewYork that we will create. The MARY A. WHALEN is our ambassador on that mission and will come and go from that place spreading the message, and our programs. We recently retooled our official language to make the relationship of tanker and PortSide, our present and our future clearer. Here it is. Let us know what you think. We welcome your feedback! PortSide is a living lab creating a vision for 21st century urban waterfronts – and waterways. Our focus is the water part, the BLUEspace, the Sixth Borough of NYC. Our goal is to create a place that shows how to combine the working waterfront, public access and community development. Our education, culture, workforce development and neighborhood promotion programs - all on a water theme –bring the community afloat and the community ashore together – for the benefit of all. Building on our Sandy recovery work - which won us an award from the White House and honors from the NYS Senate - PortSide is developing flood preparedness and resiliency programs and will curate and house a resiliency center. We export our programs via our ambassador, the historic ship, the MARY A. WHALEN, the only oil tanker in the world delivering public programs.